Brad Jones Racing’s position at the top of the PIRTEK Pitstop Challenge leaderboard is the result of a decade of dedication and refinement, says engineer Wally Storey. The veteran made improving pitstops a priority when he joined the squad 10 years ago and is pleased to see the new competition shine a light on BJR’s hard work. 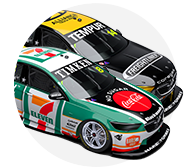 Introduced this year, the PIRTEK Pitstop Challenge awards points to each car from 26 down to 1 based on the pitstop times in the Saturday race of each SuperSprint event. Following the upcoming Red Rooster Sydney SuperSprint, the top four crews will go into a knock-out final series on Friday night at Bathurst where they will compete for a $25,000 prize. BJR’s crew currently has its #14 Tim Slade and #8 Nick Percat Holdens first and fourth on the leaderboard, with the Freightliner entry having been fastest of all during three of the four Saturday SuperSprints run so far. Shell V-Power’s #12 Ford is second ahead of the #23 Nissan, while the #5 Bottle-O Racing, #7 Carsales Racing, #17 Shell V-Power and #15 Senglend Racing entries are fifth through eighth and all looking to make the finals. CLICK HERE for the full PIRTEK Pitstop Challenge leaderboard. 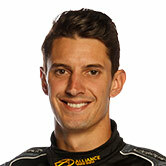 “When pitstops first came in (to Supercars sprint racing in 2001) BJR was one of the best,” Storey told Supercars.com of BJR’s position at the top of the order. “Brad and Kim (Jones) grasped the importance of it very quickly, but as with anything when a place gets bigger you lose control of some of the details. “When I got here there wasn’t enough people in the engineering department able to put time aside to put pressure on about it. “It’s hard for an engineer to put a shock absorber down to call the boys out for pitstop practice, but it’s so important in the races that you really have to. “I would say our guys have been as good as anyone in the pitlane for the last five years, but the way we currently operate has been 10 years in the refinement. The 120km Saturday race format provides a surprisingly diverse array of pitstop strategies, with teams changing four tyres, rear tyres or working side tyres depending on the circuit layout, conditions and how their car is performing. Refuelling is also optional, with some electing to run their engines lean in order to avoid the need to top up. While a splash of fuel can be done quicker than a tyre change, the need for a refueller and fire attendant eats into the allocation of eight crew permitted over the line in a pitstop and can slow down the rear wheel change. With the car controller and air spike operator unable to perform any other duties, four mechanics are available for wheel changes with refuelling and six are available without. That means two tyres and no fuel can be done with three mechanics dedicated to each wheel, potentially shaving vital tenths of a second from the process. BJR tailors its pitstop practice to what strategy it expects to be required at the next race. Most weeks see its crew running through three stops twice a day every Monday, Wednesday and Friday. 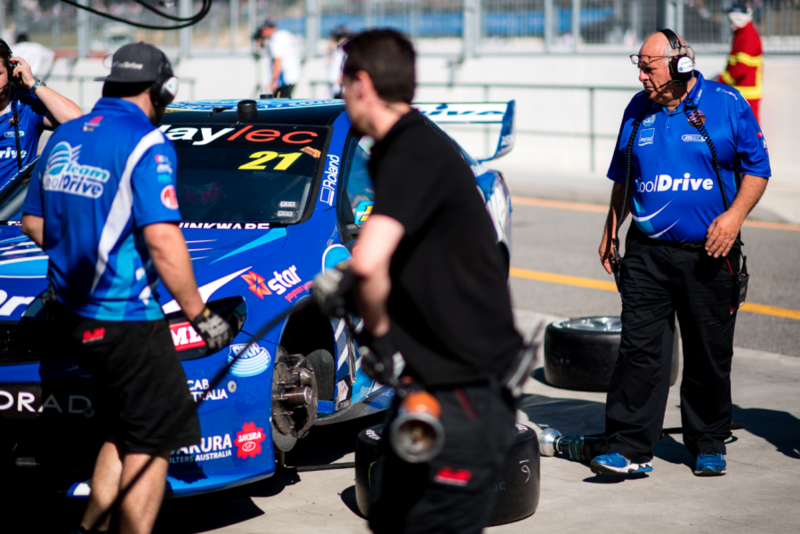 Pit crews in Supercars are grouped by pit booms, so the #8 and #14 cars are looked after by one crew, while mechanics from Tim Blanchard’s #21 car combine with Preston Hire Racing team members to service the CoolDrive Commodore. That, admits Storey, presents its own challenges. The CooDrive crew trains at the workshop with BJR’s Super2 mechanics and only gets to practice with the Preston Hire team at the race track. 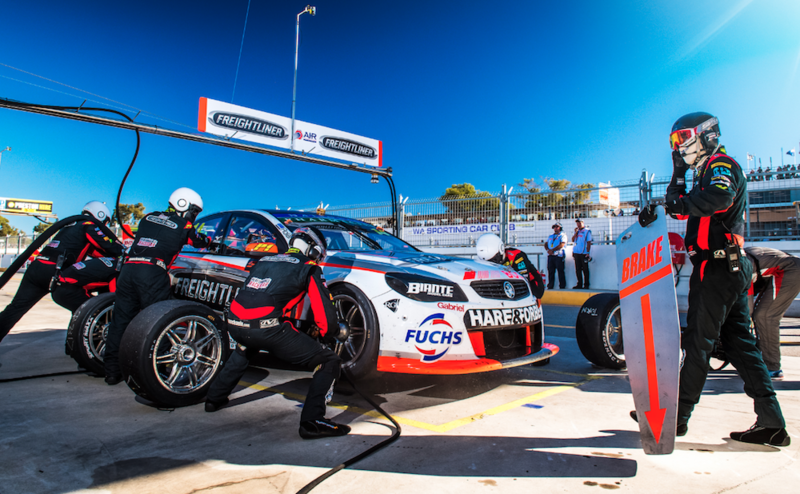 Even so, the #21 Commodore was in the top six for pitstops times at two of the four PIRTEK Pitstop Challenge events run so far and sits a strong 11th on the leaderboard. The Preston Hire entry is 20th. 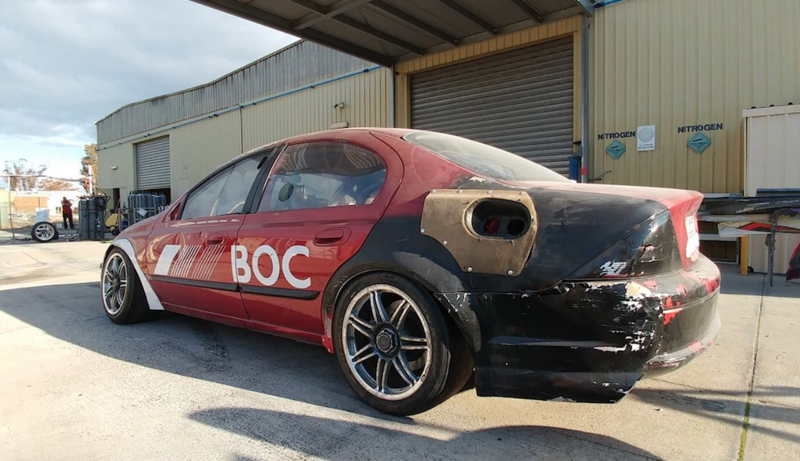 Teams use dedicated pitstop practice cars at their workshops, which in BJR’s case is a Ford Falcon AU road car fitted with a raft of Supercars components to simulate the race cars. There are varying opinions in pitlane on rattle guns, with Paoli, SP Tools and Chicago Pneumatic products used throughout the field. BJR owns Paoli and SP guns but prefers the latter. While equipment, method and practice are all vital elements, Storey also believes that an innate ability is required in order to be an elite level wheel changer. 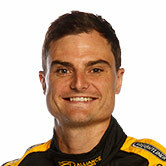 “Our two front guys, who are the number one mechanics on the #8 and #14 cars, I’d back them against any in the pitlane. They are exceptional and the guys on the back wheels aren’t far behind,” he said. 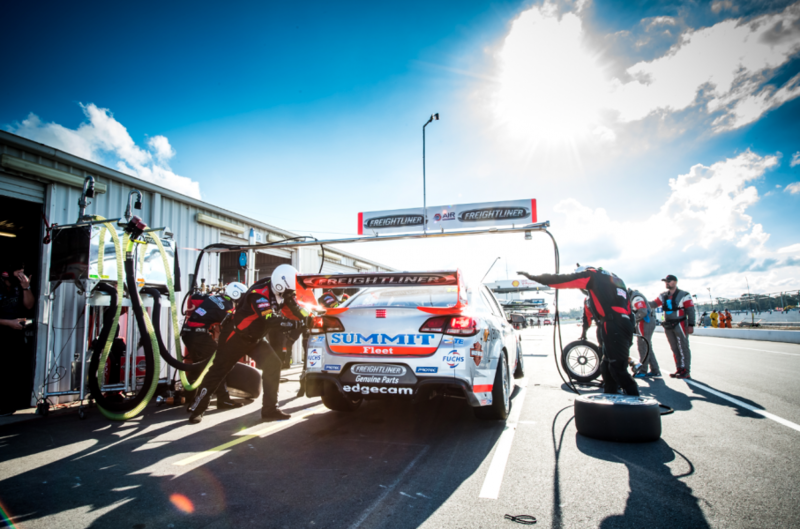 The PIRTEK Pitstop Challenge times are measured from pit entry to pit exit, ensuring the driver also plays a significant role in the total elapsed time. “If you don’t pull up on the marks within roughly 200mm either way then you can add a second to the stop pretty quickly,” said Storey. “If the bloke can rattle the wheel off, throw it between his legs, twist his body, pick up the other one and bang it on without having to walk anywhere it’s quite fast. But the minute he’s got to hike to get his wheel there’s a problem. Storey’s long career also saw him head up the pitstop crew at the Holden Racing Team in its formative years. He enthusiastically recalls the story of building a dedicated pitstop car – complete with single-thread wheel nuts – for a Sunday morning pitstop competition at Bathurst in the early 1990s. While that was done to ensure that the race car was not stressed just prior to the 1000km classic, there’ll be no such tricks for the Friday night final this time around. Storey is keen to see his crew take out the contest, but has told them not to think about the $25,000 on offer.